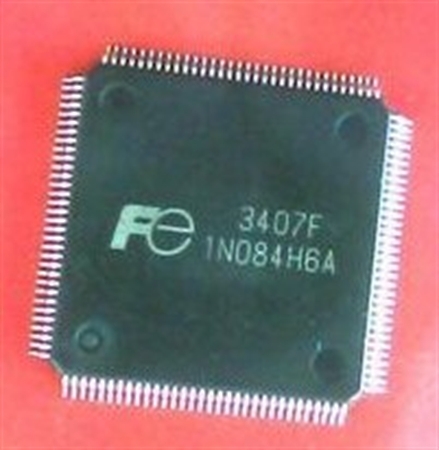 Coppell TV Repair LLC offers you a brand new replacemen for plasma output shift register IC 3407F used in various plasma Y driver buffer boards. Those are used in various 50'' plasma TV buffers, such as Samsung HP-T5044, HP-T5054, LG 50PG20-UA and others. Note there are a number of equivalent substitutes made by various companies such as Panasonic, TI, Infineon and others, which we have all seen used by OEMs in the same parts. 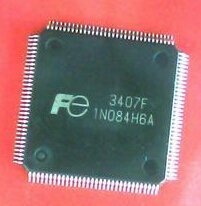 The component you will receive may or may not be 3407F, but it is guaranteed to be 100% functional equivalent from a brand manufacturer. We use those ICs in our daily repairs and there is a number of videos in our YouTube channel where you can see us proving functionality of serviced buffer boards and disscussing the failures and the repairs. There are no "counterfit" ICs that we are aware of. The worst that we have seen - in regards to such ICs - is when Asian vendors try to pass used and washed ICs as brand new ones. If properly done, this is hard to identify which is why it is important to have a great relation with a few reliable vendors, which is what we do.